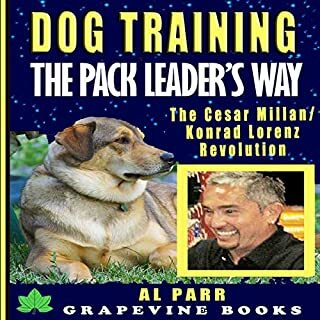 In this revealing book, based on the revolutionary teachings of the Mexican American “Leader of the Pack” Cesar Millan, as well as those of the Austrian zoologist Karl Lorenz, better known as “The Father of Pack Leadership”, you will discover five proven ways to claim your role as your dog’s pack leader, the natural cause behind the dependence of dogs on their masters, how to use the principles of dog psychology to improve your training, nine basic obedience commands you can easily teach your dog today, and more. Many of us think of our dogs not as pets but as full-fledged members of our families. If you own a dog or are thinking about getting one, A Member of the Family is the ultimate resource for integrating your canine companion into the life of your household. 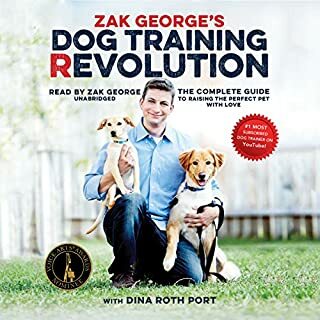 Brimming with practical tips and techniques, this audiobook addresses the most common issues and questions that emerge over the course of a person's lifetime relationship with a dog, explaining what it takes to be a good dog owner. The celebrated dog trainer Corrie Burns shares her training system that can help you transform any dog - from spoiled purebred puppy to shelter-shocked rescue - into a model companion you've always wanted in just a few days. Through the ideas compiled in her audiobook Dog Training Basics, Corrie Burns rescues untrained, unwanted, unadoptable shelter dogs on a weekly basis. 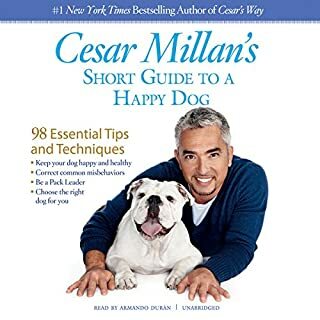 Best-selling author Cesar Millan takes his principles of dog psychology a step further, showing you how to develop the calm-but-assertive energy of a successful pack leader and use it to improve your dog's life - and your own. 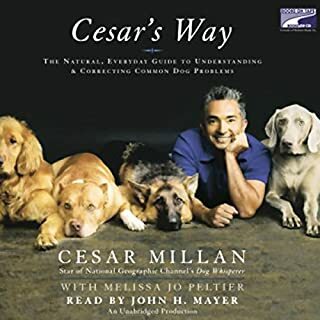 Filled with practical tips and techniques, as well as real-life success stories from Cesar's fans, clients, and his popular television show Dog Whisperer with Cesar Millan, this audiobook will help you understand and read your dog's energy as well as your own, so that you can move beyond just correcting behavioral issues and take your connection with your dog to the next level. In addition, Cesar addresses several important issues for the first time, including what you need to know about the major dog behavior tools available and the difference between "personality" and "instability". This book was great. I have listened to it twice now and really enjoyed it. It is a great demonstration of Ceser's techniques. It is in depth of how to do what he is asking you to do and why it works. He goes over how to project the right kind of energy. He covers indepth the different tool available, and positive and negative reinforcment. This is a great book for people thinking about getting a dog as well as current dog owners. It is an amazing piece of work. This book has many insightful ideas that will improve important aspects of anyone's life. It should be required reading(listening)for any supervisor at any level. Millan offers sensible, practical advice for dog-owners. The basic message I got out of this book is that dogs respond best to a balanced, assertive leader who can provide a structured and orderly environment, and the book provides lots of insight on how to accomplish this. By controling the kind of "energy" you present to your dog, and giving the correct amounts of exercise, discipline and affection you can solve many problems. I have a 2 year old lab-pyrenees cross with a LOT of energy. Since reading this book and applying much of the advice I have noticed significant improvements in his leash and off-leash walking behaviour, jumping, whining and yard escapes. I highly recommend this book to all dog owners (current or potential). Would you listen to Be the Pack Leader again? Why? Yes, it gives great insight into the psychology of dogs as well as people! I enjoyed learning how my energy affects my dogs. What insight do you think you’ll apply from Be the Pack Leader? 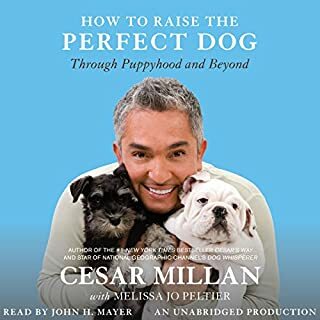 Would you try another book from Cesar Millan and Melissa Jo Peltier and/or John H. Mayer? Would you be willing to try another book from Cesar Millan and Melissa Jo Peltier ? Why or why not? Yes. The authors advocate an effective technique. The narrator's voice is both interesting and warm, and he intones the various sections with personality. Was Be the Pack Leader worth the listening time? 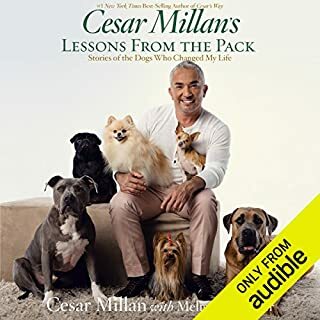 Thank Goodness for Cesar's CLEAR, SIMPLE and AFFECTIVE leading..
After reading (listening) to this Audio Book, I now have a better understanding of the ever so misunderstood subject of Dog-to-Human relationships. Mr. Millan truly has been gifted with an understanding of what is going on "inside a dog's head". Every dog owner should pick up this selection. It will open up doors to a BETTER, HEALTHIER and more PEACEFUL relationship between You and Your BEST FRIEND!! A MUST read for all Cesar Millan Fans and dog owner..
Cesar Millan is a special gem on this Earth. listen and follow his words and you will be a better person. The hands-on advice I needed! 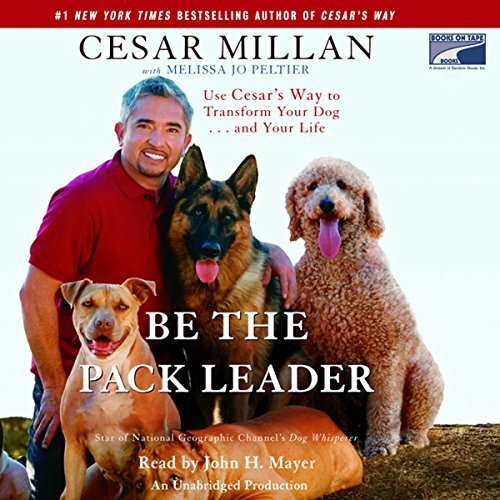 I'm a fan, and read another book by Cesar based on his general principles, Be the Pack Leader is the one that gave me the tools I needed to feel comfortable putting his advice into practice. The changes have been remarkable, and our pack is already reaping the benefits. It's constantly on my IPod for easy reinforcement. Loved it! What disappointed you about Be the Pack Leader? I've expected some practical tips and techniques, but it was most the advertising of the show and the author himself. The only practical advise was given in the descriptions of different collars and some of the training tools. What could Cesar Millan and Melissa Jo Peltier have done to make this a more enjoyable book for you? I would appreciate some step-by-step instructions rather than the general story how Cesar helped one or another client.